Plastic waste is polluting the Baltic sea and is a problem there just as much as it is in the rest of the world, needing to be addressed by politicians and industry chiefs alike, according to speakers at the recent EU Baltic Sea strategy meeting in Tallinn. Speaking to ETV news show 'Aktuaalne Kamera', Harmen Spek, innovation manager at plastic pollution awareness body 'Plastic Soup', said that the problem of floating islands of plastic, or 'plastic soup', is rising and needs a change of thinking to be combatted. ''Politicians have to put regulations in place, but a lot depends on industry too,'' said Spek. 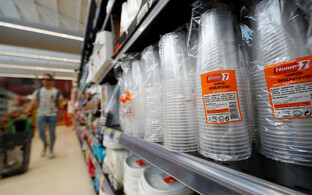 ''Every industry which produces plastics has to do all that it takes to reduce the problem. 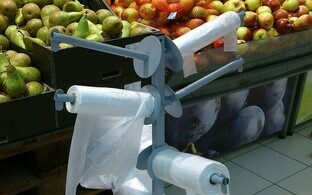 The use of plastics has to be rethought – this is a key issue,'' he went on. According to European Commission data, 25 million tonnes of plastic waste are generated in Europe alone, of which only 30% is recycled. Inevitably a proportion of that which remains finds its way into the seas and oceans. There are three main categories of plastic waste which are polluting the Baltic. The most prominent of these, termed 'macro-waste', comprises plastic bottles and packaging and disposable plates and other eating items. Several more environmental organisations in Estonia and the Baltic region are on the case. A major initiative entitled 'BLASTIC', which started in 2016 and is aimed at establishing what kind of plastic and other garbage gets carried by streams, rives and floodwaters into the Baltic and in what quantities, is due to conclude in Autumn. According to a spokesperson from the Tallinn office of international environmental non-profit research and policy organization Stockholm Environment Institute (SEI), a significant part of waste coming into the Baltic from Estonia is made up of isolation foam used in the construction industry. ''Surprisingly this formed a far bigger problem than in Finland or Sweden,'' said Harri Moora from the SEI. 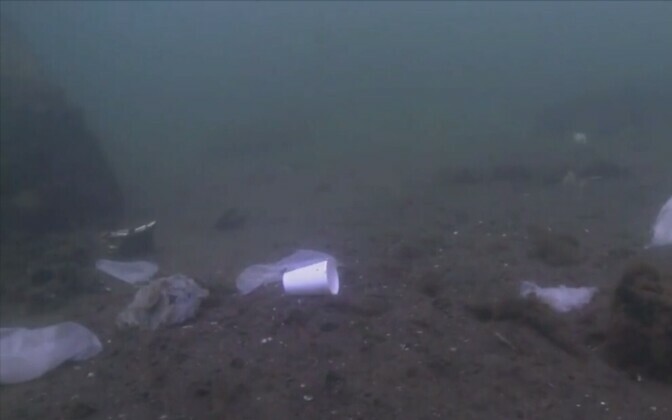 In addition to macro-plastic waste, there is apparently plenty of plastic waste in the Baltic which is not visible to the human eye, at least at first glance. Dmitry Frank-Kamenetsky, Field Manager of the Baltic Marine Environment Protection Commission - Helsinki Commission (HELCOM) told Aktuaalne Kamera about two more issues affecting the Baltic and the world's seas as a whole. ''There is also garbage is at the bottom of the sea, most significantly in the form of abandoned fishing nets, known as 'ghost nets',''he said. ''The third problem is much more complicated and more global in scale, namely that of micro-plastics," he went on. HELCOM, which is the governing body of the Convention on the Protection of the Marine Environment of the Baltic Sea Area, known as the Helsinki Convention, is continuing to monitor the micr-oplastics problem, for example via the MARELITT program which started in 2014 and which collects and safely disposes of abandoned fishing nets and associated waste.